Spain is known for its festivals and with all these festivals food has a major association. Easter is no different and for this celebration the classic dish is Easter Torrijas. Torrijas are the Spanish version of French Toast. Originating from the 15th Century this ancient recipe is a great way to use up stale bread and transform it into a delicious dessert. Like any dessert home-made is the best but if you are on the Camino you can get these treats in many bars, restaurants and pastry shops around Easter or perhaps even throughout the year. Be careful not to overindulge in these highly addictive sweet treats as they are high in calories so be sure to walk them off! There are many versions of this recipe depending on where you are in Spain. A popular choice in some areas is to replace the milk for sweet wine, where in other areas they will slather the fried bread in syrup. 1. Cut the bread into 1 inch slices and arrange them in a shallow dish with room to also hold the milk. For the most creamy result cut the bread the night before to let each slice fully dry out. 2. Put the milk in a saucepan with the sugar and cinnamon stick and bring to a boil. Turn the heat off the moment it starts to boil and leave to infuse for 5 minutes. Stir occasionally. 3. 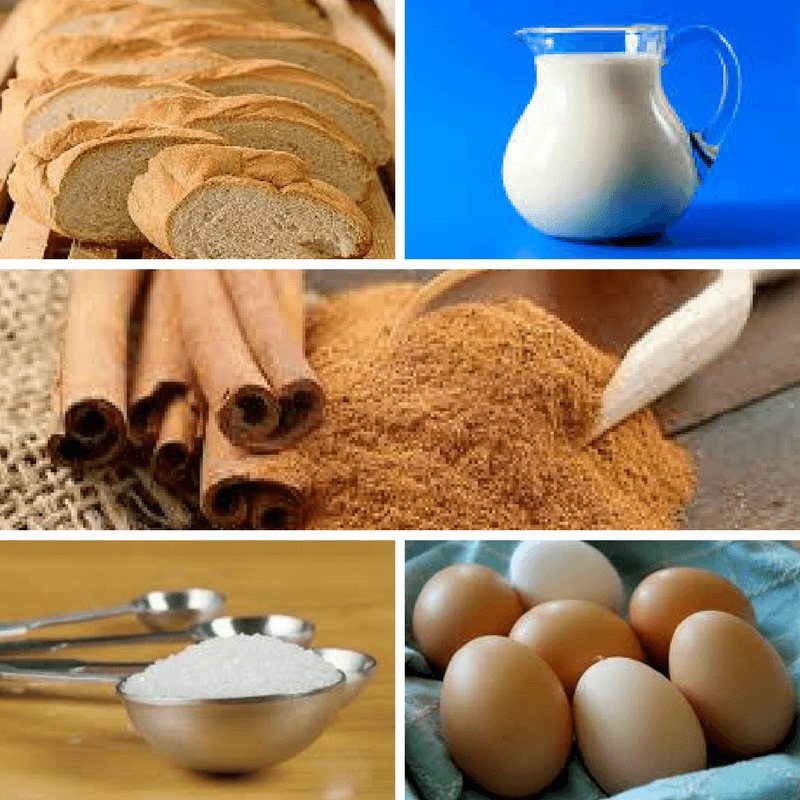 Remove the cinnamon and pour the milk mixture on the bread and let soak for one hour. Check on the mixture to ensure it is fully soaked in, if necessary add more milk. 4. Beat the eggs in a bowl large enough to hold at least one slice of bread. 5. Heat the oil to medium in a large frying pan so you can fry several torrijas at the one time. With a large spatula carefully transfer the soaked slices one by one into the egg to coat both sides, then carefully place the slices into the hot oil. 6. Fry for 3-4 of minutes on each side, until brown. 7. 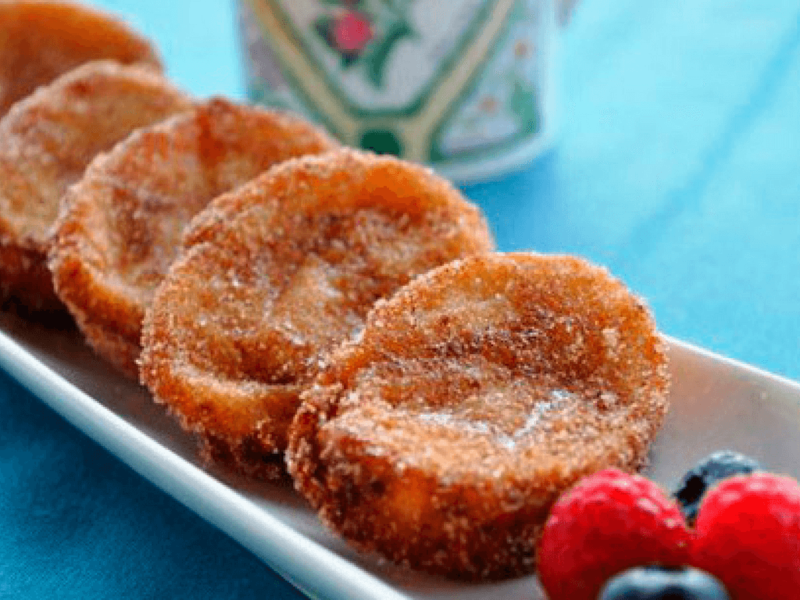 Remove the torrijas and place on a dish lined with a paper towel and thoroughly sprinkle with sugar and cinnamon. Do not pile them on top of each other whilst warm.